Woodland Poppy is flowering. 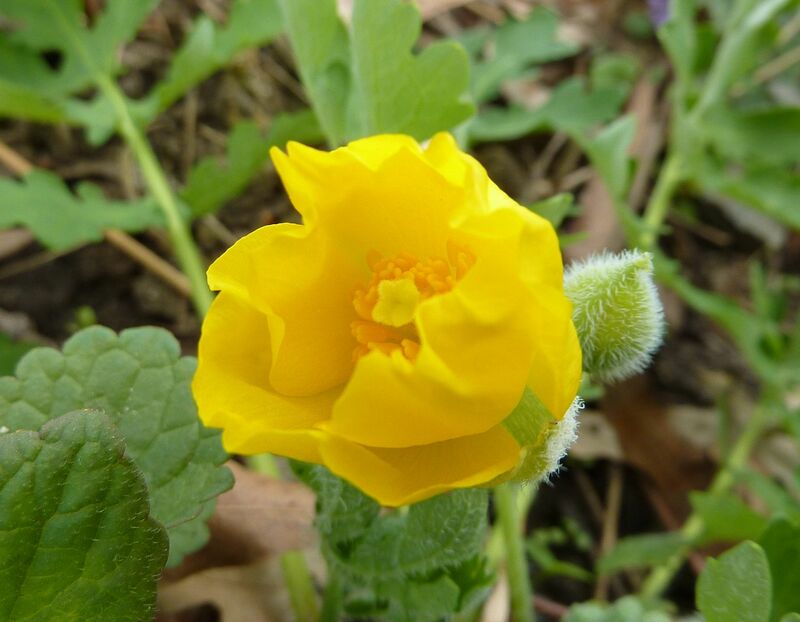 This is also called the Celandine Poppy but I never understood that name. Scientific names are always best though and this one's refereed to as Stylophorum diphyllum. 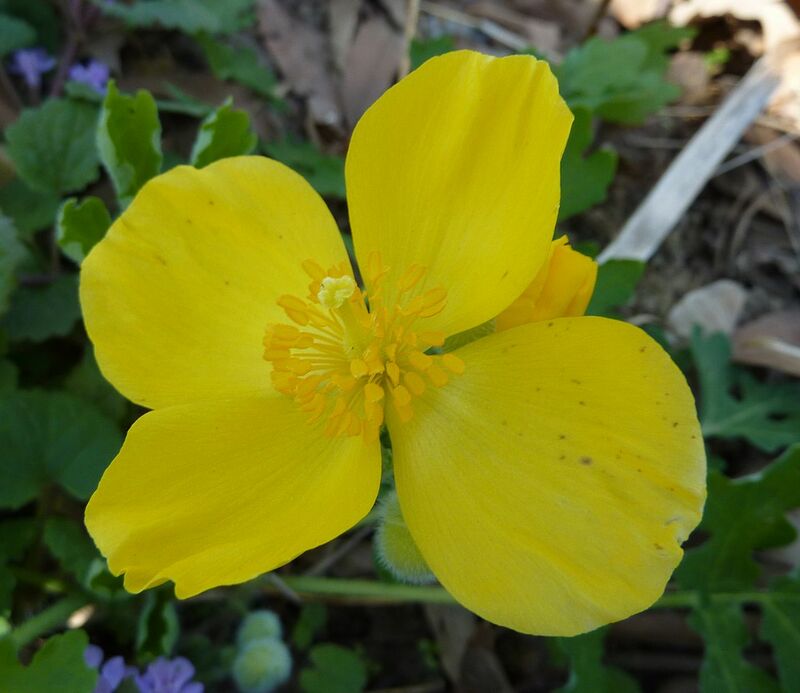 It's a shade loving member of the Poppy family that's every bit as pretty as its western counter part, the California Poppy, Eschscholzia californica. 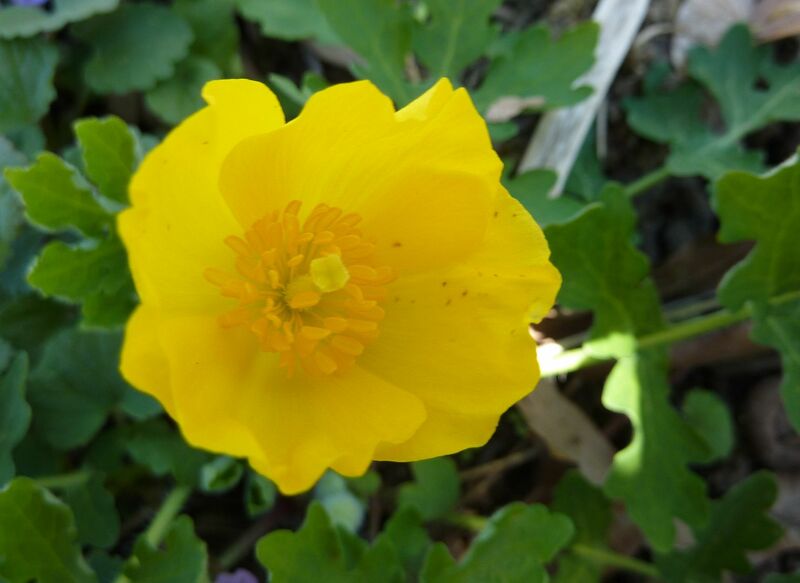 This is also a perennial, where as the California Poppy I believe is an annual. I think the flowers look so much better when they're half open. Once they open all the way they lose some of their grandeur in my opinion. Another issue is early on they flower fairly low to the ground. The lack of foliage and flower color really make this plant look like a dandelion from afar. Eventually more flowers will open though and the plant will reach 18" high. So they're an okay companion plant for most woodland plantings. This is also not native to New Jersey, where I live. I've never let that stop me from planting a native before though, especially one that distributes it's seeds with the aid of ants.